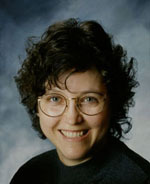 Author, mentor, and speaker Heloise Jones helps writers and other artists discover how to complete their work and sustain creativity. Her inspirational book The Writer’s Block Myth: A Guide to Get Past Stuck & Experience Lasting Creative Freedom (Lifestyle Entrepreneurs Press, 2017) is for anyone who wants “to live their joy in the process and to create.” Connect with Heloise on her website HeloiseJones.com and on Facebook and LinkedIn. What is your elevator pitch for The Writer’s Block Myth? 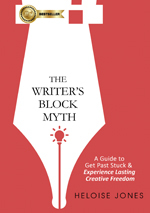 The Writer’s Block Myth is a book for people living in the real world. It’s an informative and supportive guide that helps them move forward to complete their goals, and live a creative life that works for them. It’s about what being a writer is. I learned how much the economy of online writing and reading has affected my writing voice. When writing fiction and poetry, my process is longhand, pen to paper, for rough drafts. When writing essays and nonfiction, it’s fingers to keyboard from get-go. The past two+ years I’ve focused on my blogs. And though my blog (Getting to Wise. A Writer’s Life) is a journal about navigating life, I compose on the computer. I had to write the entire manuscript of The Writer’s Block Myth twice to shift into the voice that works as well on paper as online. Most rewarding while writing the book was the way it easily organized itself. The supporting materials I gathered, the knowledge I’d garnered from years of conversations and work with writers, and the interviews I conducted as research all dovetailed. After writing it, my reward was hearing from readers—how they felt seen and understood, and the many ways the book helped them. Some said they were able to move forward after feeling stuck for one or more years. Tell us how the book came together. I talk a lot about this in The Writer’s Block Myth. The short answer is it took 3 1/2 years to finish from the first thought to printed book. I didn’t intend to write a nonfiction book. I’m a novelist and poet at heart. In November 2013 I intuitively got a message to write this book and talk about myself. I was very private at the time, and said no to the Universe, so to speak. Two years later, the title of the book flew through my mind while I was writing a scene for a novel. In 2016, a list came to me that I turned into a blog post, which became the structure for Part One of the book. Once I accepted I’d write The Writer’s Block Myth, I trusted the process. I put everything I came across—quotes, articles, blogs, Facebook posts—in a decorative bag without editing or culling (a tip I share in the book). I conducted conversation-interviews with writers and authors of all levels and experience. My intent was to see if this book was something needed and/or wanted. My approach: offer a loose outline of four open-ended questions and then listen. I learned these writers’ challenges, how they handled their frustrations, the language they used when speaking about it, and how it affected their lives. In November 2016, three years from when I received that first intuitive message, I went into retreat, sorted what I’d gathered, and wrote the book. It came together seamlessly, and was published less than five months later after one complete rewrite and three edits between me and an outside editor. What makes this book standout from other self-help/reference books for writers? My approach is writer’s block is real. That it’s a symptom, not a pathology. What happens on the page is tied to what’s inside us (how we assign value and give meaning to our work, ourselves, and our process) and links to something in our life in the real world that we can shift so writing flows. Or, in the least, see what flows as something we can value. The Writer’s Block Myth is informative without shaming or positing one right way. It includes the voices of other writers, plus short, effective exercises to help move the reader forward. It’s written for people living everyday lives loaded with the challenges of relationships, obligations, and lifetimes of shoulds, oughts, and conflicting desires. It addresses those challenges, and offers numerous examples and empowerment tools to help shift perspectives. The goal I present is to find and embrace what works best on the page and in life. Writers are not all the same, so ways of being with the process are individual. My hope is readers create a satisfying life, as well as written works. That they feel freer in the process, and know they have a supportive guide while they do it. Do you have a favorite quote from The Writer’s Block Myth you’d like to share? Not surprising as much as affirming: The consistency and similarity of the challenges and issues expressed by all the writers I spoke with, no matter their experience or background. Heloise offers persistence stirring the new into the familiar. She & I took a photo day in downtown Asheville to promote new views through alleys. Windows popped up that day. Another time we found stories of bears, chickens, dogs, and neighbors in Haw Creek just outside Asheville. We broke blocks in Marshall, Burnsville and on the banks of the French Broad River. A trail of stories began in North Carolina and twined through Florida, California, and Texas for us. We found deeper stories through relationships of people, place and experience. 1 Pings/Trackbacks for "An Interview with Author Heloise Jones"